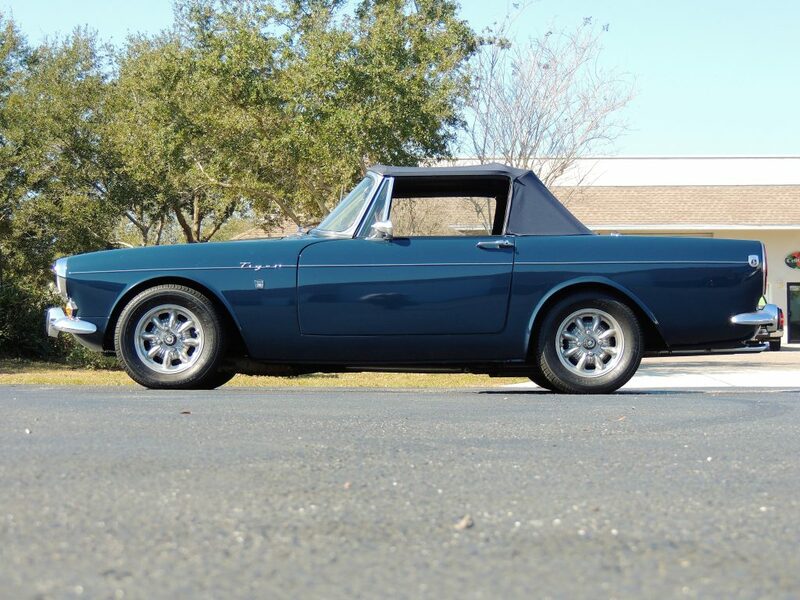 The “Baby Cobra” by Carroll Shelby, the idea was to drop an American Ford 260 – 289 V8 into a little British Sports car. 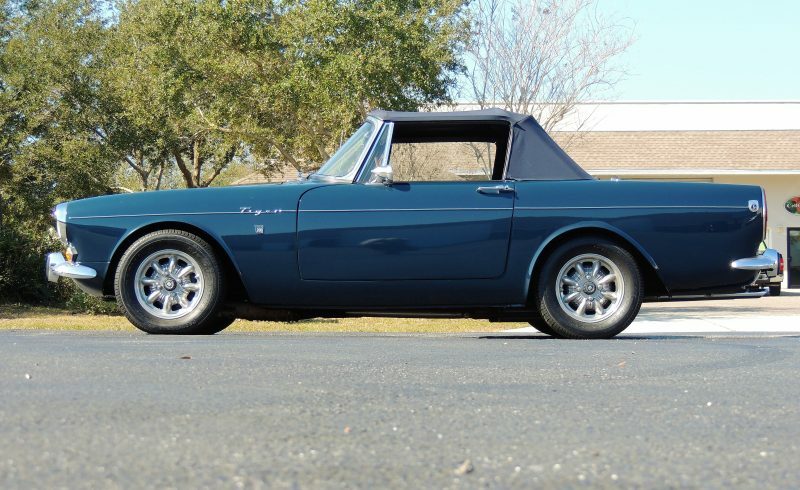 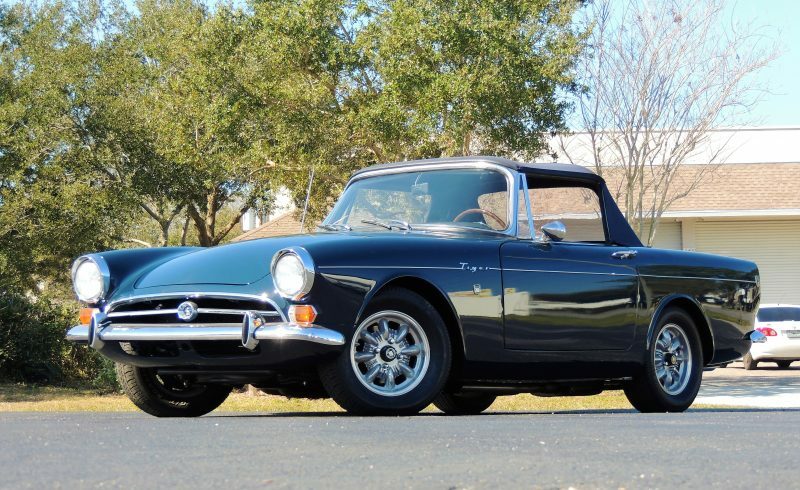 The Sunbeam Tiger is a high- performance V8 version of the British Rootes Group’s Sunbeam Alpine Roadster. 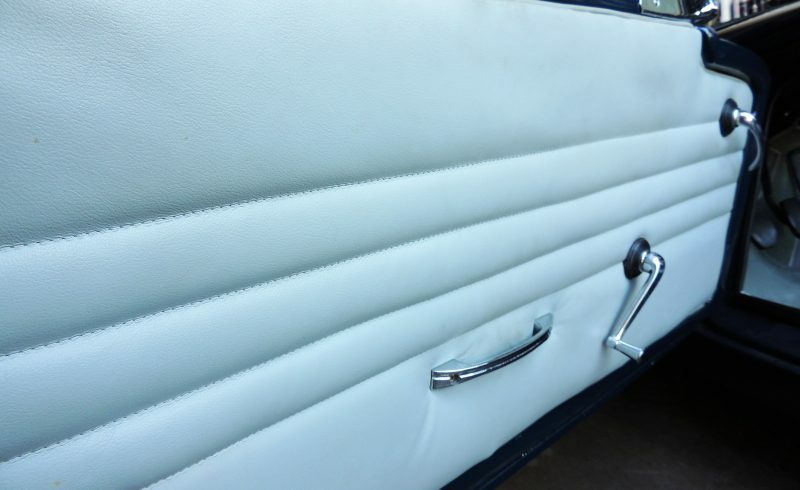 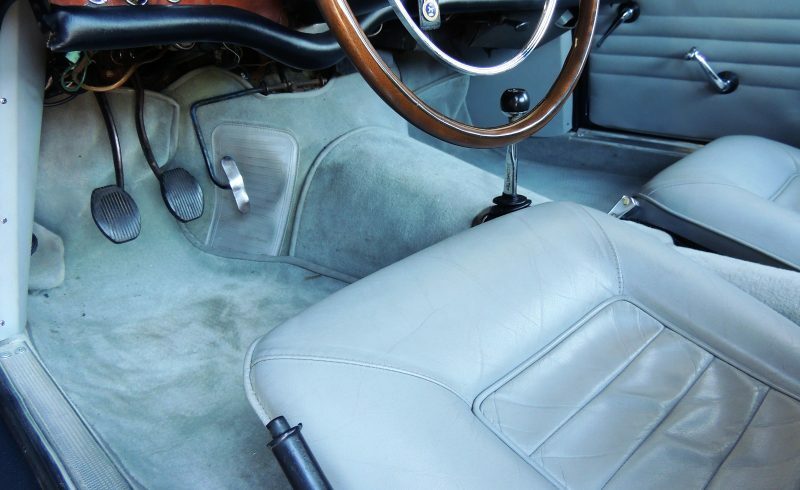 They were only made from 1964 – 1967. 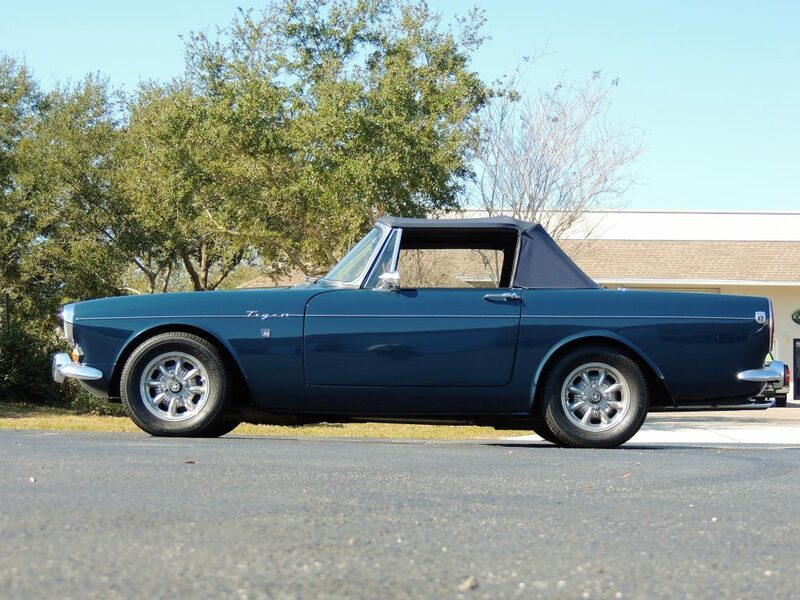 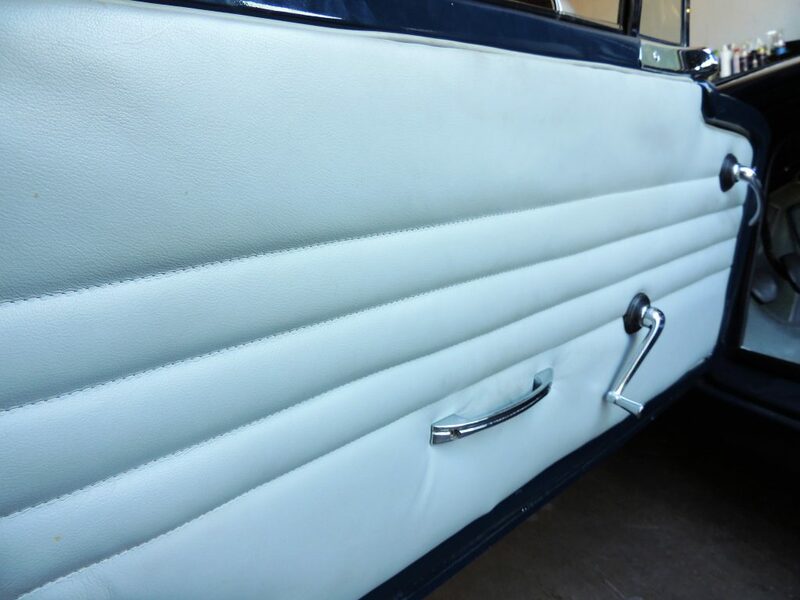 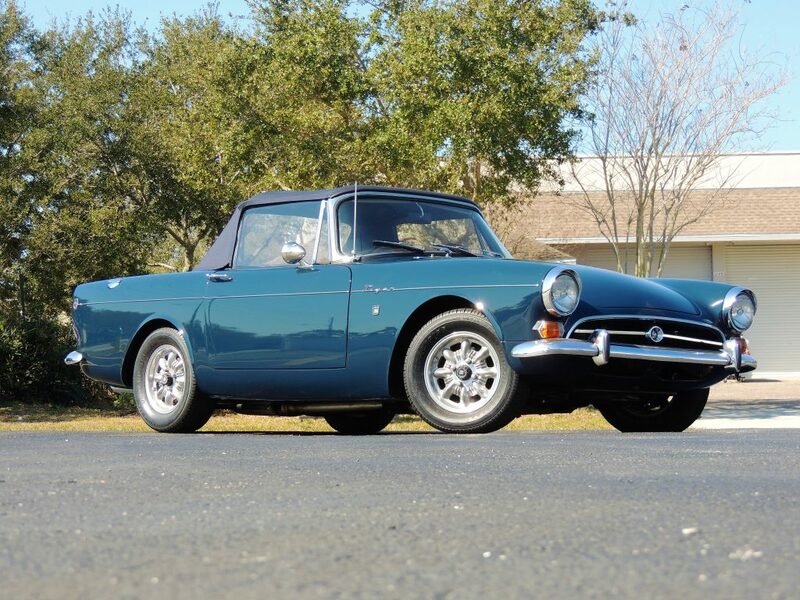 With the sale of the Rootes Group Sunbeam Alpine positioned as a fine touring automobile, Southern California Sunbeam-Talbot sales manager, Ian Garrad, needed to offer a product more suited for sports car enthusiasts. 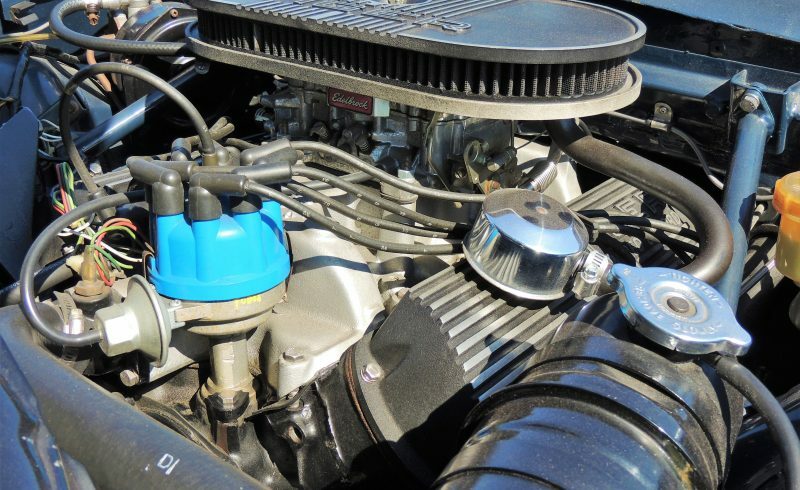 Efforts to build a car that could attract these young, performance minded individuals went to successful design and performance team of Shelby America. 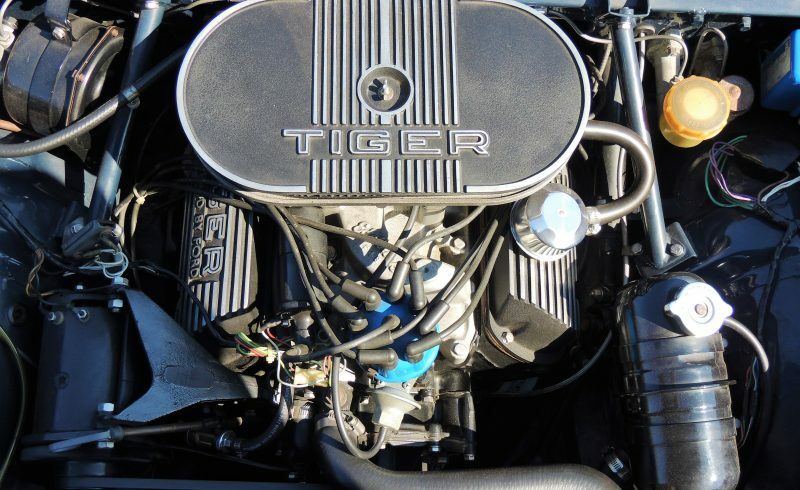 It was already well known that they could shoe-horn V8 horsepower into just about anything you asked them to, so the Ford 260ci V8 was selected for its size and ample power output. 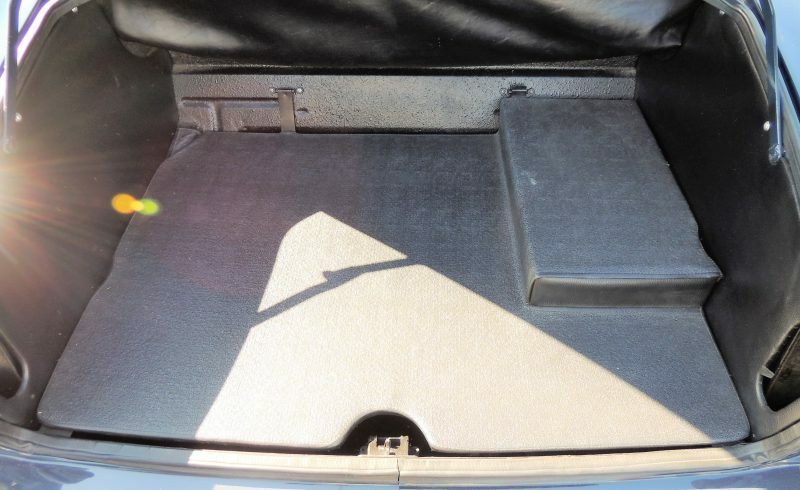 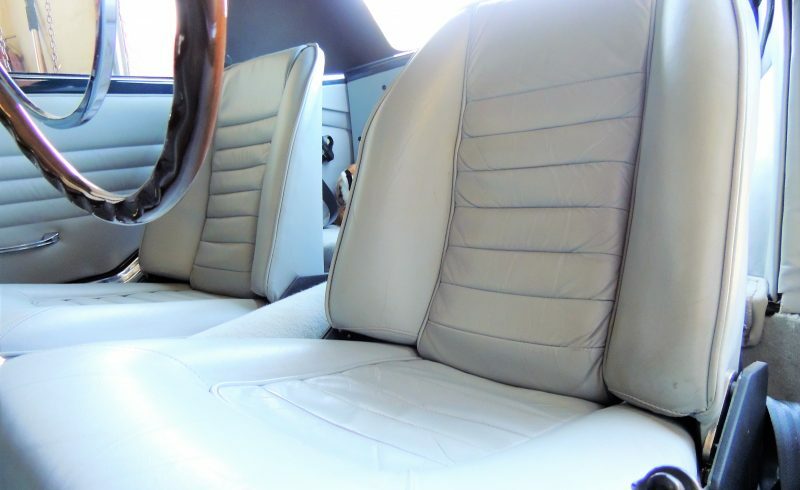 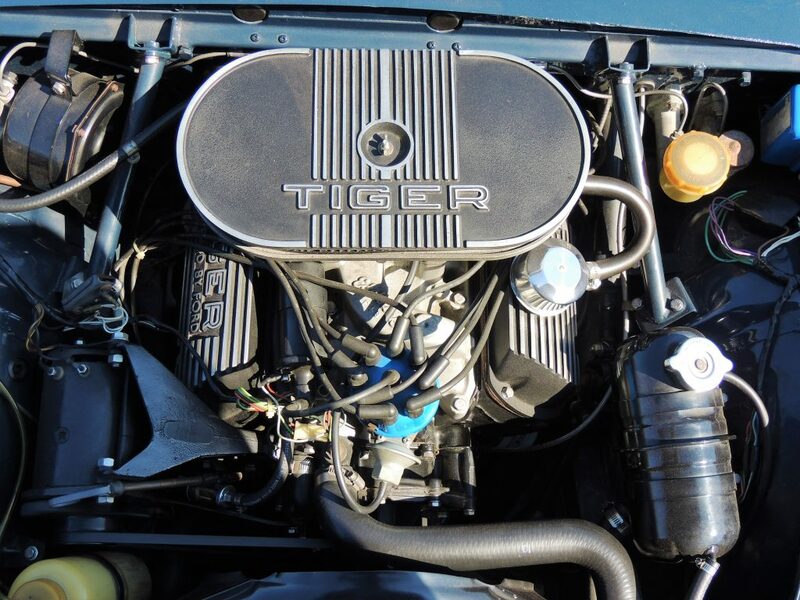 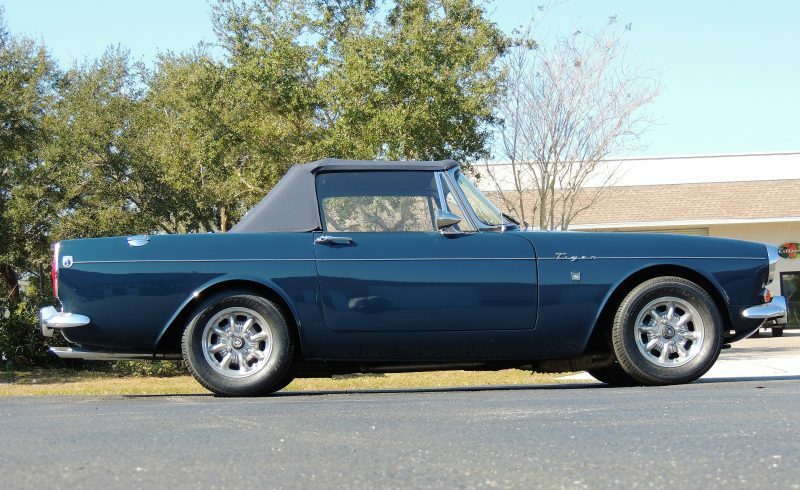 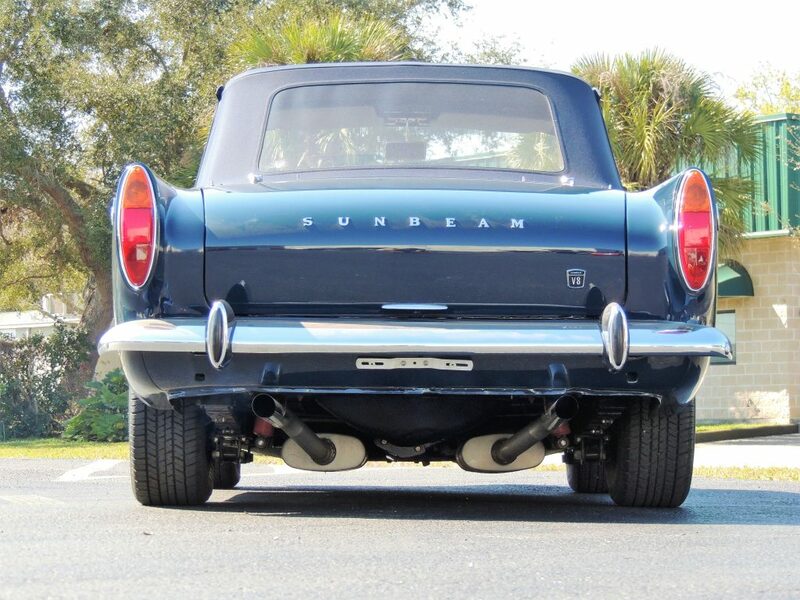 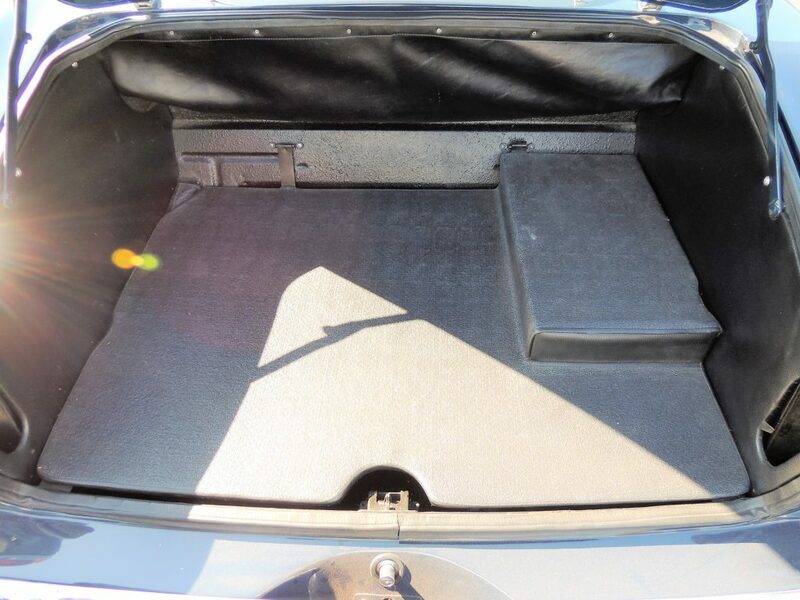 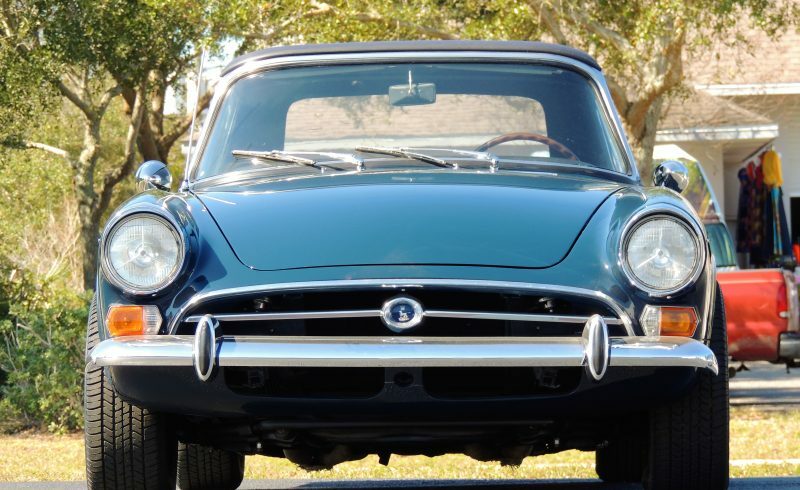 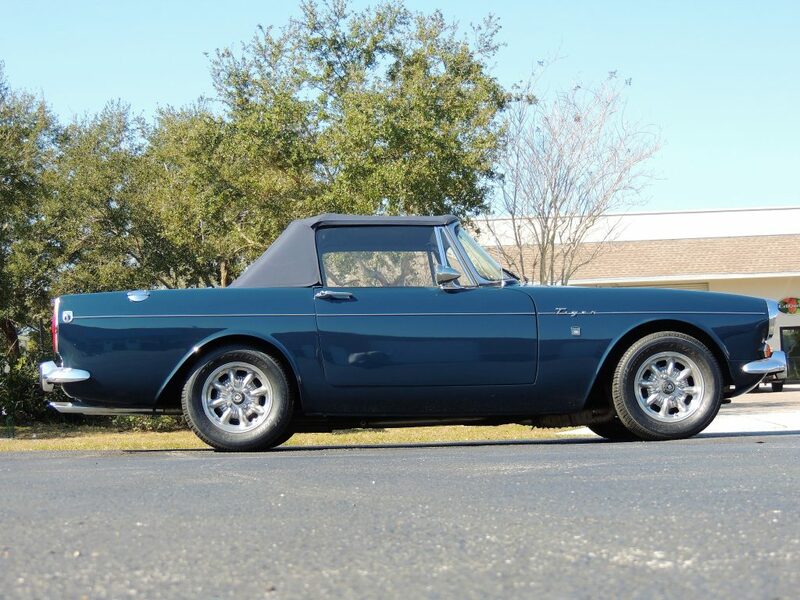 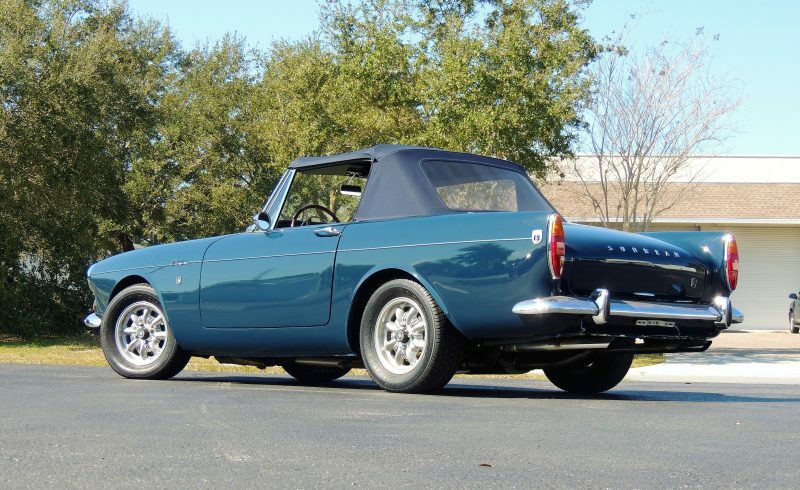 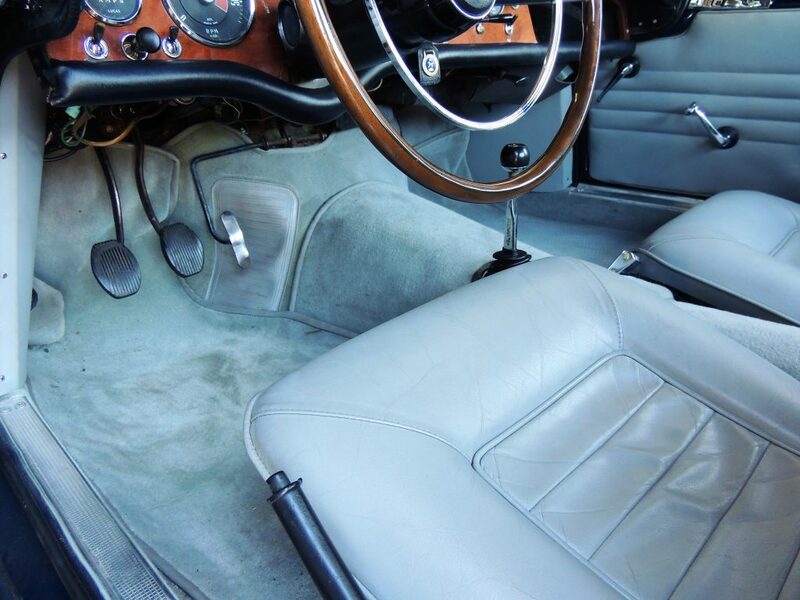 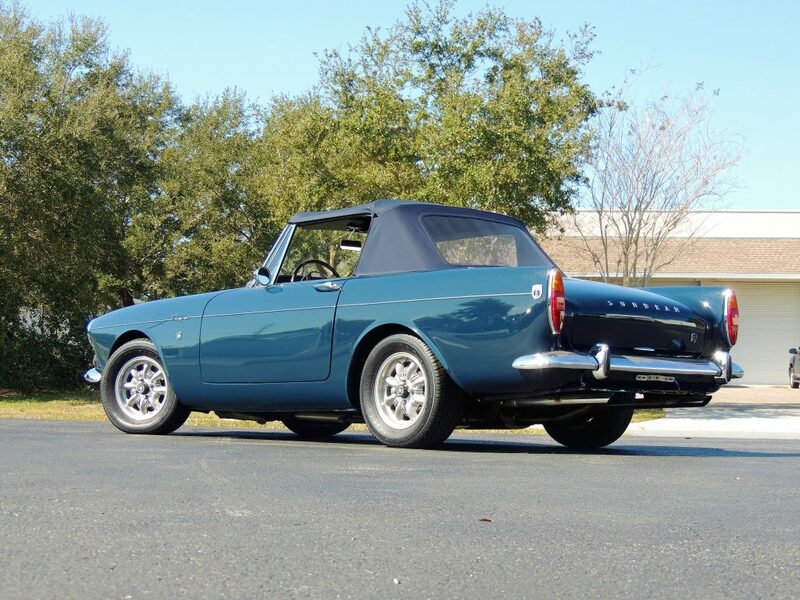 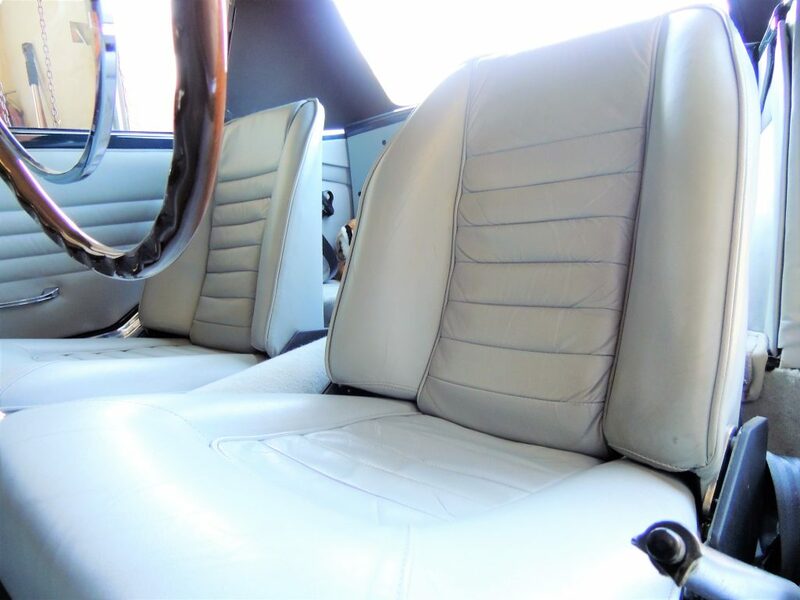 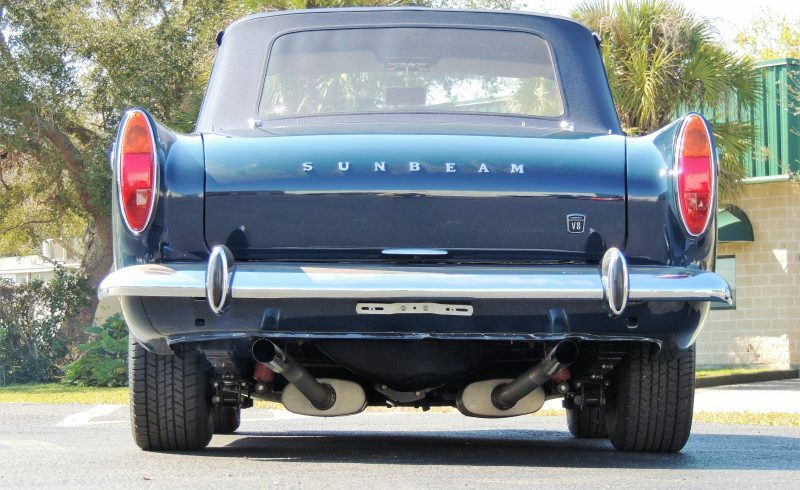 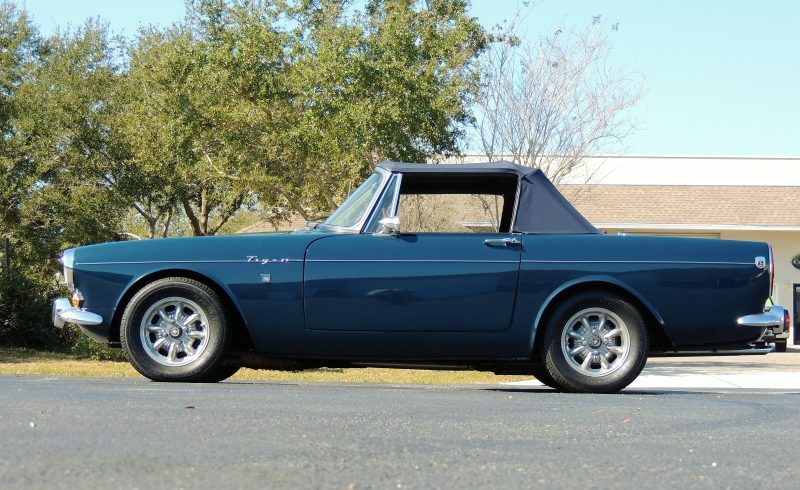 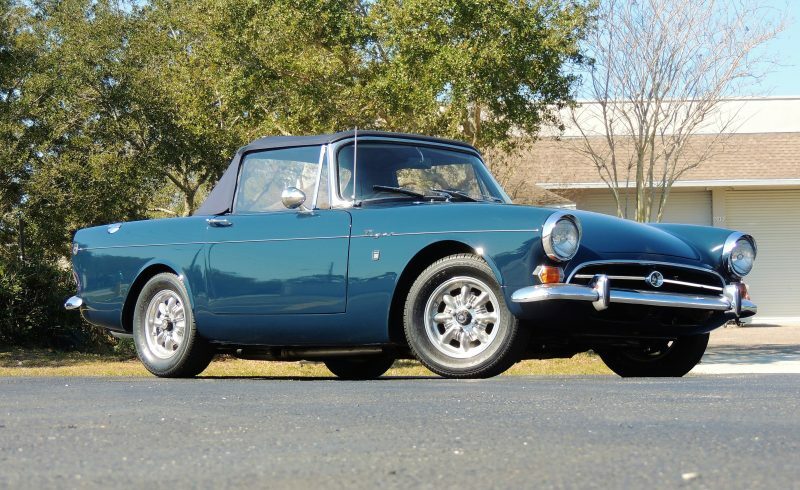 It was tucked into the small English chassis with only a “few” refinements to the engine bay and firewall, and a “Baby Cobra” was born with the official name, Sunbeam Tiger! 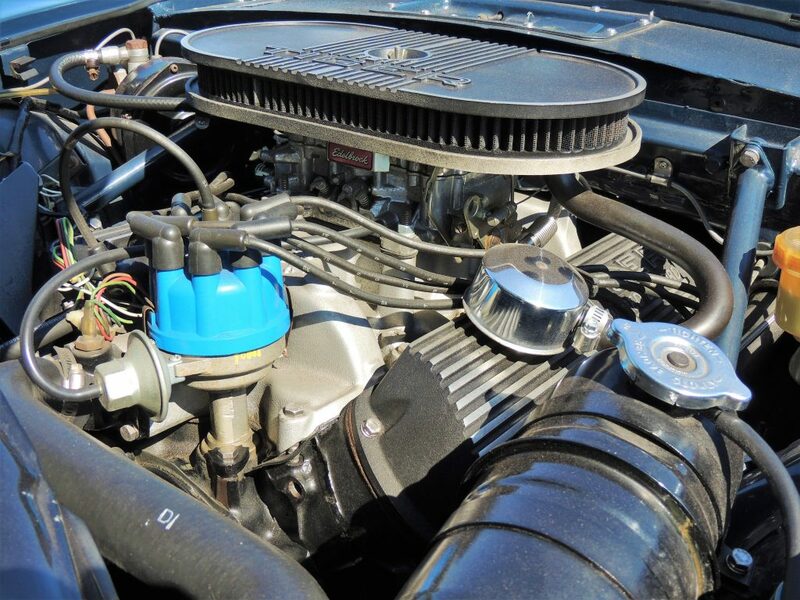 Ford powered 260ci V8 engine mated to the Borg Warner T10 4-speed manual transmission with a 2.88 rear end! 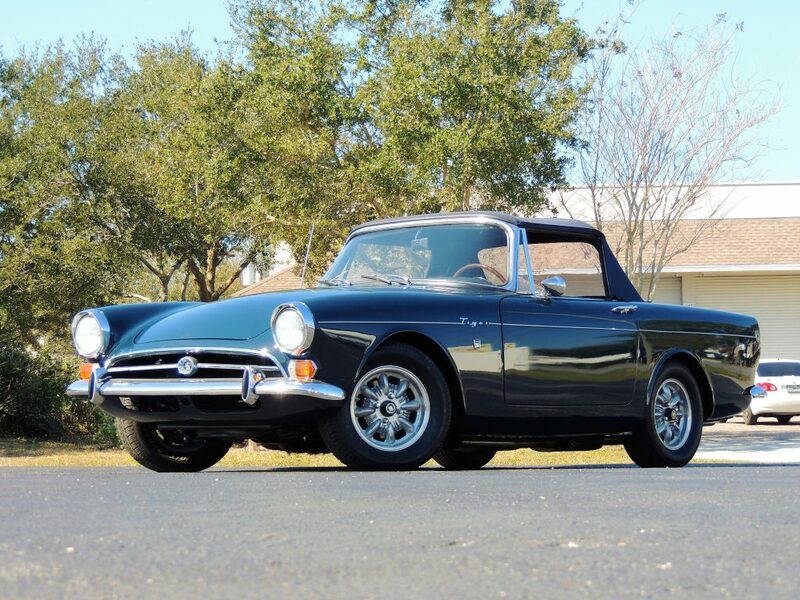 The power of the Ford V8 coupled with many performance options offered by Rootes and the direction, design and influence of Carroll Shelby, makes the Sunbeam Tiger sought today from all four corners of the globe as one of Hemming’s top 10 collectible vehicles. 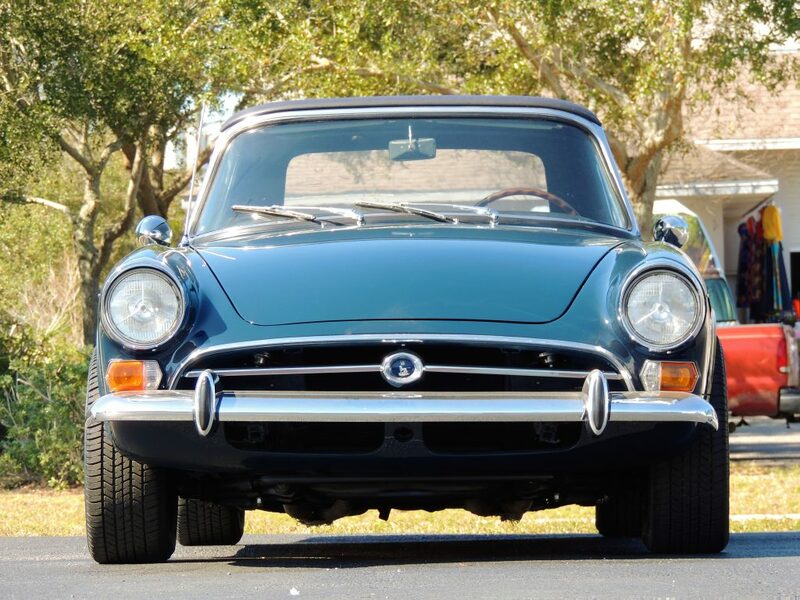 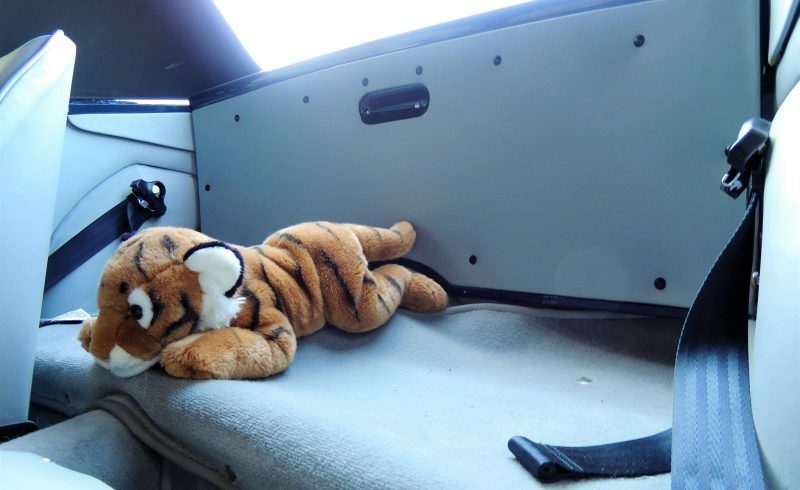 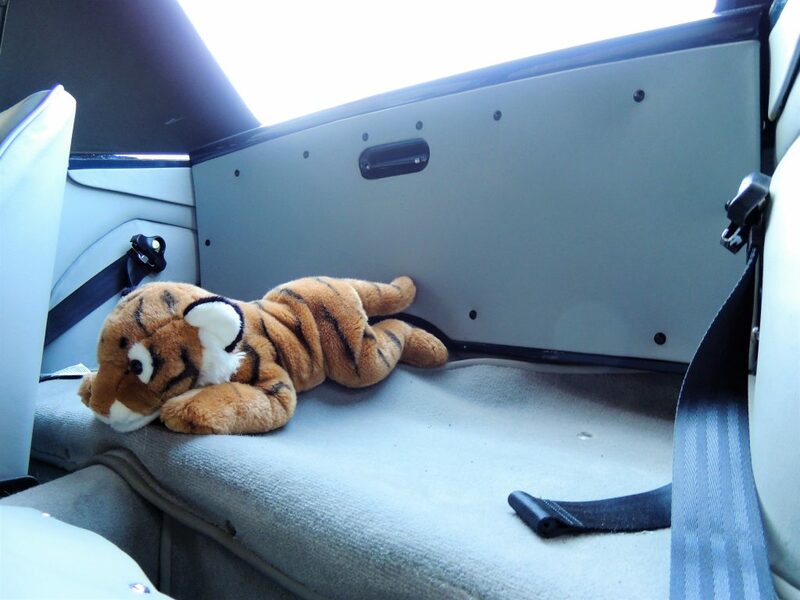 Sunbeam tigers are very unique cars and good ones are very hard to find, a car of this condition is worthy of serious consideration.